The weather man was kind to us this past week giving us a day of rain, nothing to write home about but a welcome change of pace. Showers on Monday and rain on Wednesday gave our rivers a small but much needed boost. Some beats fished well while others weren't as productive, its not a normal season, we`re having to adjust and change our game. I must say our guides are working hard and doing a great job. Cooler water temperatures combined with big tides by weeks end should help get our fall run going. Joseph Anscher with his first Bonaventure salmon, well done Joe, see you in 2019. The Bonaventure remains low at 6 cubic meters per second . 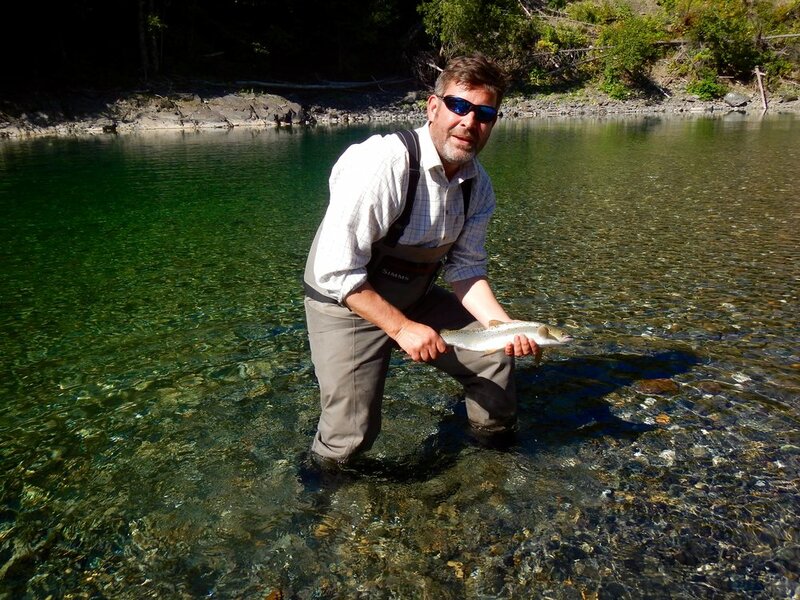 Despite the lower water conditions the water temperature is still in the 55 degree range, great for dry fly fishing. Like the Bonaventure the Petite Cascapedia is also low, 4.5 cubic meters per second. Staying cool like the Bony, the Petite has been giving up some big salmon despite the low water. The Grand Cascapedia has been producing but with water conditions flowing at 6.5 its very low. 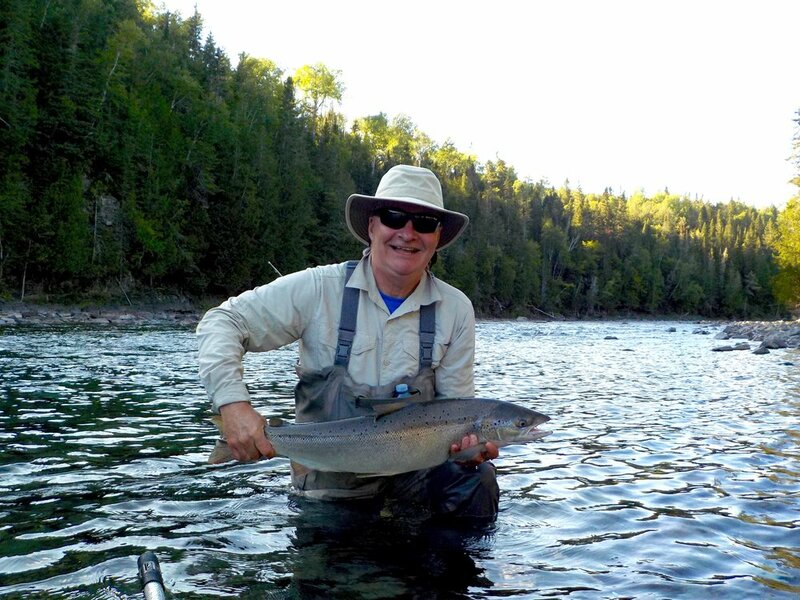 Serge Desrochers with a fine Bonaventure salmon , congratulations Serge! Cooler water temperatures combined with big tides by weeks end should help get our fall run going. It doest`t take much to turn things around. If we get a good rain it will be a different game that’s for sure. William Cox rom the UK with his first Canadian salmon, nicely done Will. As we approach mid September and cooler water we're beginning to use our fall patterns. Low water conditions are keeping our fly choice small with sizes in 10, 12 and 14. Dry’s continue to be the big producer with Dark Brown, Forest Green and Blue Bombers. Camp Bonaventure good friend and regular Michael Sullivan with his first of 2018, congratulations Michael ! see you next year.